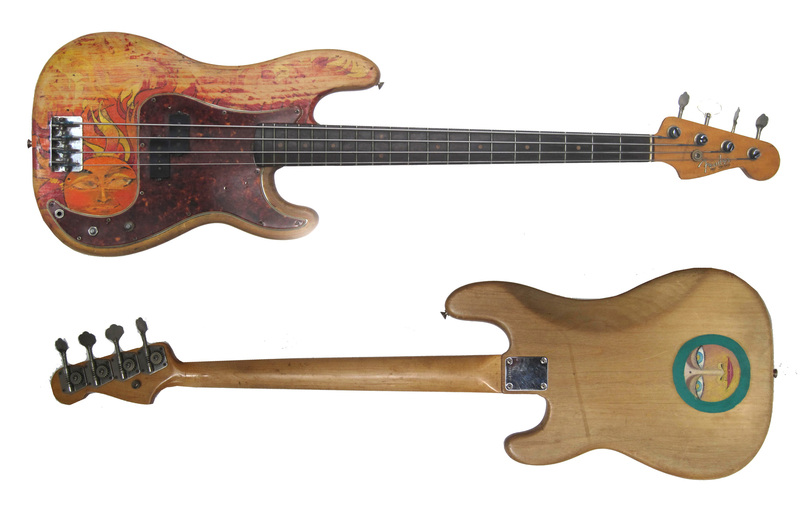 Fender Precision Bass (Modell 1962), painted by Klaus in flower-power stile. He used the bass on countless historic recordings and didn’t change the old strings until today. 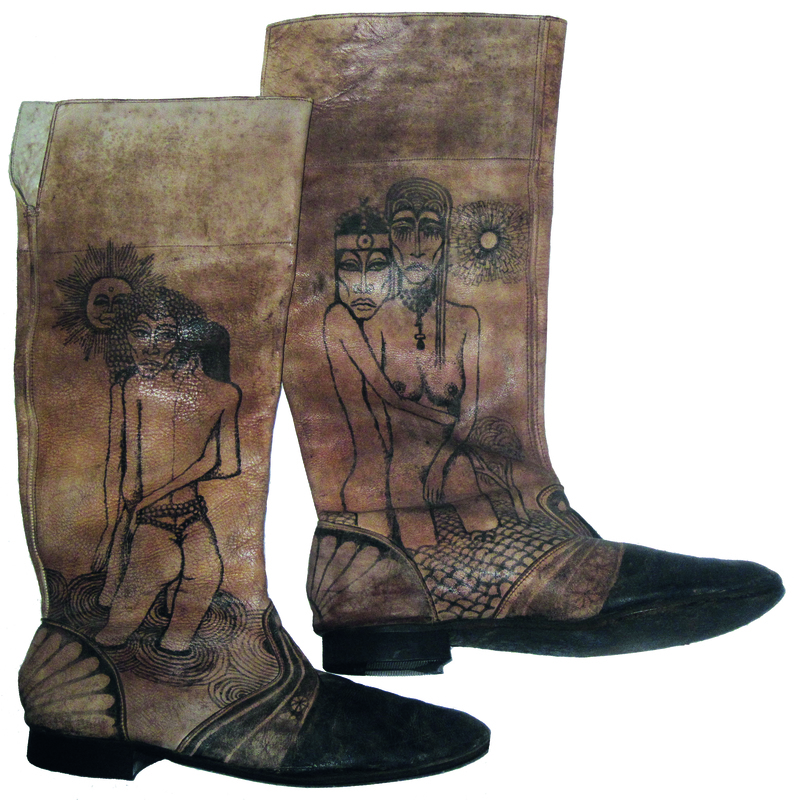 Klaus bought the boots 1971 in London and painted them in his typical drawing style at George’s Friar Park cottage. Klaus lived there till he moved to Los Angeles. He wore the boots first time on stage for George Harrison’s legendary Concert for Bangladesh at New York’s Madison Square Garden 1971.